Revenues for Canadian nightclubs and bars are $3 billion a year, with an annual growth of 0.4% between 2012 and 2017. The Canadian nightclub industry has suffered from declining alcohol consumption and heightened regulation in recent years, but diversifying to attract new customers may be the way forward for aspiring club owners. With in-house wine bars, specialty cocktail lounges, martini bars and artisanal beer bars, many club owners are hoping to attract a new demographics and bolster their profits. There are 5,351 businesses employing a total of 43,081 people. few years because of changes in social drinking. Alcohol is increasingly being consumed in the home, this is partly because of the increase in the price of alcoholic beverages, but also because of the awareness and consequences of drunk driving. Other places that also serve alcohol, for example, restaurants, have been strong competition for nightclubs but diversifying may be the way to succeed as a nightclub owner. The coming trends for nightclubs will concentrate on getting customers through the doors, and keeping them there through personalized service. While technology is being used to streamline the operations in general, it can also help with tracking both personal customers as well as campaigns and promotions. In return for a customer giving you their details, they benefit from a service personalized to them. Also, tracking will enable a nightclub owner to see how effective their sales campaigns and promotions have been so that they can tweak the findings to have better results in future. Persuading people to buy tickets in advance of events as opposed to buying them on the door is also a new gimmick that can pay dividends. Because psychologically tickets on sale in advance can make it seem like they are in demand, it creates a sense of urgency and also makes sure you have guaranteed revenue before the night in question. There has been a dip in profits for nightclubs in the last few years due to an increasingly health-conscious population and fewer people driving after consuming alcohol. The competition can be another downside, as well as other clubs, there are a lot of alternative entertainment options like restaurants and bars that people can visit instead. As a club owner, you need to differentiate yourself from the other clubs to entice customers, but also you need to treat the business as a business. If you want to own a nightclub because you like partying, you may not have what it takes to succeed. Owning a club involves finding out what sort of events and promotions people will like, then trying more and more new things until you find what makes it work. And even then, you can’t relax as it will only work for so long, you will constantly have to improve and alter to keep people coming back. It is hard work, but can be a satisfying success for anyone willing to go that extra mile to attract paying customers. If you want to run a nightclub, there are more licenceconsiderations than the usual business. These include insurance, liquor, and SOCAN licences to name a few. There needs to be an agreement with the local authority on building insulation, how loud and for how long the music will be played, as well as information on crowd and litter control. Because of the nature of the business, fire safety requirements must also be complied with, as well as security considerations when dealing with illegal substances or unruly guests. 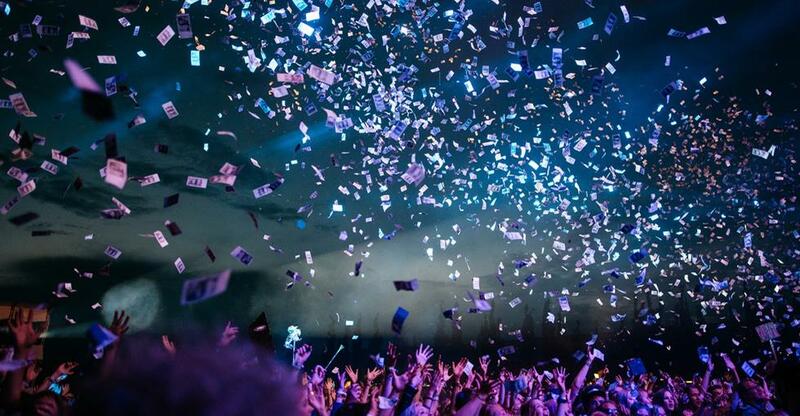 Owning a nightclub can seem like a great deal of fun - especially when you envision the music, the drinking, the celebrations, and the fact customers are dressed up and ready to enjoy themselves. Unfortunately, as an owner, you will need to work hard to give guests the experience they are expecting while managing the normal aspects of any business. As the owner, it is down to you to manage the fun that your customers are having, which can mean working long hours, working over the holidays or weekends, and dealing with unruly customers. In particular, the skills required will be a talent for organizing entertainment, being able to work well under pressure, as well as the normal business expertise like good management abilities and marketing flair. There can be no approximation of the cost of opening a nightclub because there are so many variables to do with size, concept, location, and type. An easier option could be to buy a going concern for a reasonable sum and avoid the risk and effort of starting your own business from scratch. If you have no prior experience, it may be more sensible to buy a nightclub that already has a customer base, and then you can mold it to your own requirements. It is essential to consider the location because the local community will determine whether your business is a success or not. If there are constant complaints, you will find it a struggle to keep customers coming back, but if you find the right location, work hard, and manage to keep a consistent clientele, then there is no reason why your club shouldn’t succeed. Jo joined Dynamis in 2005 to co-ordinate PR and communications and produce editorial across all business brands. She earned her spurs managing the communications strategy and now creates and develops partnerships between BusinessesForSale.com, FranchiseSales.com and PropertySales.com and likeminded companies.